Retractable awnings are highly prized by homeowners for their versatility. 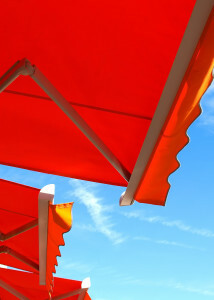 One of the primary complaints and concerns that homeowners and business owners have about awnings is their permanence. In reality, retractable awnings are the perfect solution for anyone unsure about having an awning up throughout the year. How are retractable awnings the best choice for anyone seeking versatility in their awning? Read on! Retractable awnings are very easy to adjust and remove without needing to deal with tons of tools, ladders, and a headache. These awnings are often used by restaurants outdoors to provide shade for anyone eating outside or let the sun in on a beautiful day. Residents love retractable awnings because they can provide some shade for reading on the porch in the afternoon or protect a patio from the rain while they are having their morning coffee. The simple removal process is key to the versatility of retractable awnings. Retractable awnings can serve many purposes, whether they are installed outside of a business or outside of a home. There are many selections and customizations you can make along the way that also allows your awning to perfectly match the building it is attached to. Every Carroll Awning Company customer has the ability to choose from numerous materials with different colors, patterns, textures, and opacities. This helps to make sure that the awning you choose matches your home or business as well as your exterior design choices. Awnings offer a high degree of versatility for the price! Many exterior home improvements are very costly and difficult to maintain. Retractable awnings are very easy to maintain and also very easy to take down and put up. You will save on your heating and cooling bills when your retractable awning is out and also have a longer return on your investment compared to a permanent awning, since it will not be out all of the time.